M&M's are viewed in the M&M store in Times Square on July 24, 2014, in New York City. The popular candy is getting a caramel filling in 2017. Your sweet tooth is in for a treat. 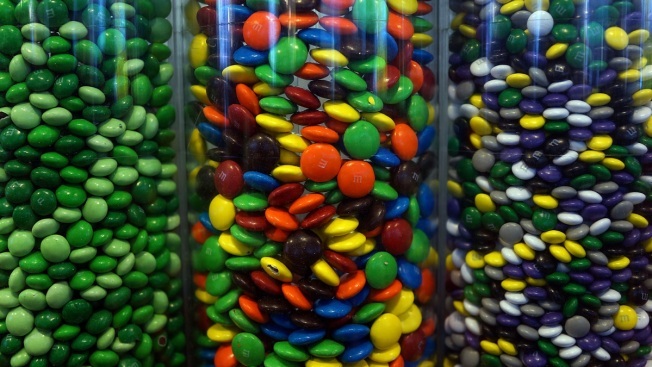 Mars Chocolate has announced that M&M’s are getting a new filling — caramel. A video on the M&M's Twitter account said caramel M&M's, with a deep blue package, will be available in May. CNN Money reported that it’s the first time the company is using caramel as a permanent filling. M&M has a history of trying out different flavors, and occasionally a new filling, such as peanuts, or pretzels. But a caramel center is very different. "Caramel is extremely trendy," Vice-President of Research and Development of Mars Chocolate Hank Izzo told CNN. "It's a $2.2 billion flavor segment and the fastest growing segment in food right now. We want to be part of this category." Izzo also told the news agency it's still getting the manufacturing process ready — hence the monthslong wait.